Jul. 11, 2017 1:20 p.m.
Black Press Media is behind the fire lines near Ashcroft where reporters are being toured through the fire zone. 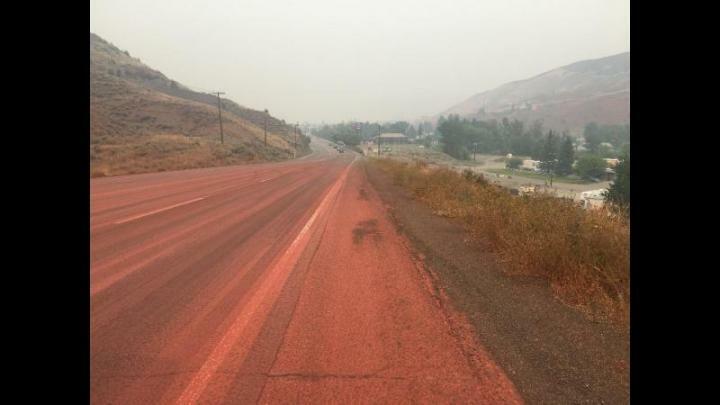 Digital editor Jen Zielinksi is reporting live from the evacuation zone where more than 70 homes have been lost in the fire near Ashcroft, currently estimated at more than 10,000 hectares. More than 120 ground crew are battling the blaze today, with more crew on the way. They are working alongside 8-12 aircraft and nine pieces of heavy equipment. Raw video from the scene.